Seriously it's that good. I didn't even get to snap a photo before it was GONE! 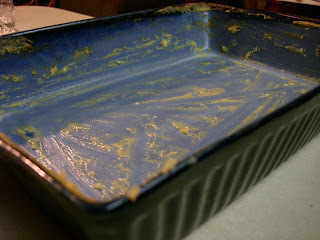 Combine and place in lightly greased 13x9 baking dish. Combine and pour evenly over filling. Bake at 350° for about 1 hour or until crust is golden and filling is bubbly. Combine. Makes about 2 cups.